As Halloween approaches, you probably wouldn’t be too surprised to see a zombie or two. What you may not know, however, is that there are millions of zombies lurking in offices and data centers around the country year-round. These zombies might not hunger for brains, but they are scary for their own reasons. 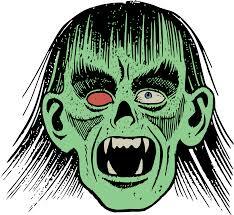 Zombie servers are a common IT issue that is rarely discussed or addressed, despite its prevalence. The term is used to describe a server that’s physically running, but not performing any functions, and can refer to either physical or digital servers. While this might not seem like too big a concern, zombie servers can be a huge money sink, and in some cases, even compromise your network’s security. Because physical servers can use up a lot of space and electricity, it’s incredibly wasteful to have them running when they’re not offering you or your business any benefit. Digital servers might not use up electricity, but they still often require costly fees to keep running. Potentially even more worrisome is the fact that zombie servers are often forgotten about, meaning they’re rarely updated or patched, and therefore vulnerable to malicious attacks or viruses. In these cases, they make easy prey of anyone trying to gain access to your data or network. To make things worse, some haven’t even been configured with an IP address – making them virtually impossible to discover without physically inventorying your data center. Because of this, it can be difficult to even realize that they’re there, making them even more difficult to sort out. This problem is primarily one with large data centers, but it’s one that can affect smaller businesses as well, where it can be even more imperative to save resources. Now that you know the dangers of zombie servers, you might wonder how you can discover them at your own business. At Net Works, we know the risk zombie servers pose to your business’ efficiency and security, and we’re prepared to help. By partnering with us, we’ll perform a thorough examination of your IT infrastructure to analyze your existing systems to root out any zombie servers hiding in the shadows. Net Works will also create a personalized plan to remove any unnecessary redundancies, resolve any security risks, and keep your digital assets functioning as efficiently as possible. Zombie servers can be the result of new systems being added without the older ones being shut down, servers not being decommissioned properly, or even just incorrectly estimating how necessary the server will be for whatever purpose it serves. Whatever the cause, the best way to prevent them is to have a dedicated and proficient Managed Service Provider monitoring your network to make sure all your IT resources are accounted for and serving a purpose. We are fully equipped to handle undead servers, as well as a number of other IT concerns. Contact Net Works today, and we’ll make sure the only zombies lurking around your business this Halloween are the ones in costume.